Married couple found dead at their Sunderland home in suspected murder-suicide. 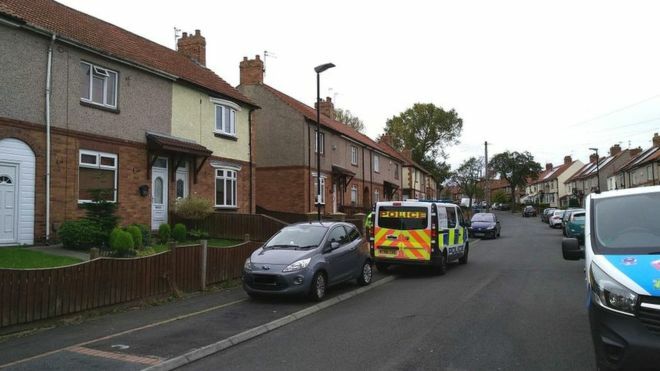 The deaths of a married couple in Sunderland are being treated as a murder-suicide after their bodies were found by police. Officers found the bodies of Alan Matthew Martin and his wife Kay Michelle Martin at a home on Shrewsbury Crescent in the Humbledon area on Thursday. They had initially been called to the home at 8.30pm with concern for a woman. The death of Mrs Martin, 49, of Shrewsbury Crescent, is being treated as a suspected murder. Police found no evidence of third party involvement in the death of 53-year-old Mr Martin, from Gardiner Square, Sunderland. Forensic teams carried out their investigations over the weekend and an investigation was launched into the circumstances of the deaths. Detectives investigating the case say they are not looking for anyone else in connection with Mrs Martin’s murder and a report will now be prepared for the coroner. Detective Chief Inspector Phil Bond, of Northumbria Police, said: “This is a tragic case which has resulted in the deaths of Alan Martin and Kay Martin. “I would like to pass on our sincere condolences to the family and specialist officers are on hand to offer any support they need. “A report will now be prepared for the coroner. I know what impact incidents such as this can have for any community. “I would like to thank residents living in the area for their patience and cooperation and offer reassurance that this was an isolated incident – and there is no wider threat to the public. “I would also like to take this opportunity to thank members of the public who have come forward to assist police since Thursday evening. Anyone with information is asked to call Northumbria Police on 101 quoting reference 1071 200918 or Crimestoppers, anonymously, on 0800 555 111.